Get Ready for Another Blockbuster Entertainment Event! 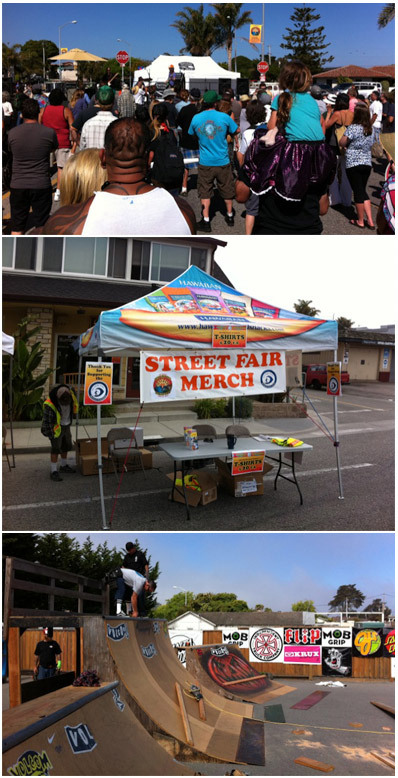 Pleasure Point will be buzzing as the community takes to the street to enjoy the Pleasure Point Street Fair on Saturday, June 22, 2019. The event will be held on Portola Drive between 41st and 38th Avenues, Santa Cruz, from 11 am – 5 pm with bike parking available, and admission is free. 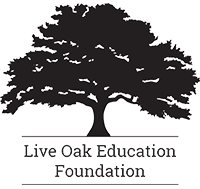 We are pleased to announce that $2,500 of the proceeds will be donated to the Live Oak Education Foundation. Great Music: A total of six local bands will perform a variety of styles of music on two stages including Americana, Blues, Rock, Reggae and Surf Music. Check back for the line-up of bands – coming soon! If you are interested in performing at the street fair, please send an email to music@pleasurepointstreetfair.com for more information. Fun for Kids: The kid’s zone will feature a variety of activities provided by local organizations including crafts, face painting and henna. Skateboard Contest: Watch talented and daring kids compete in the contest run by the Santa Cruz Boardroom. Vendors: Close to 100 vendors will sell arts, crafts, local services, food and beverages. Great Food: Enjoy lots of food choices again this year including street tacos from Pleasure Point Business Association, Conscious Creations, Pono, Ate3One and Zameen Mediterranean Cuisine. 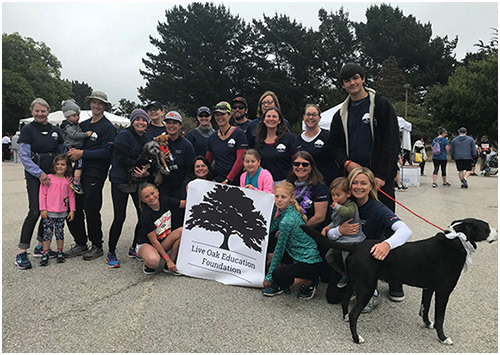 The Live Oak Education Foundation is based on a strong belief in equity and that all kids, no matter their race, socio-economic background, or neighborhood deserve every opportunity afforded to their peers. This local nonprofit was established to raise money to ensure that students in the Live Oak School District have enriching opportunities in the visual and performing arts, the “STEM” fields of science, technology, engineering and mathematics, and positive play. For more information, visit www.liveoakedfoundation.org. 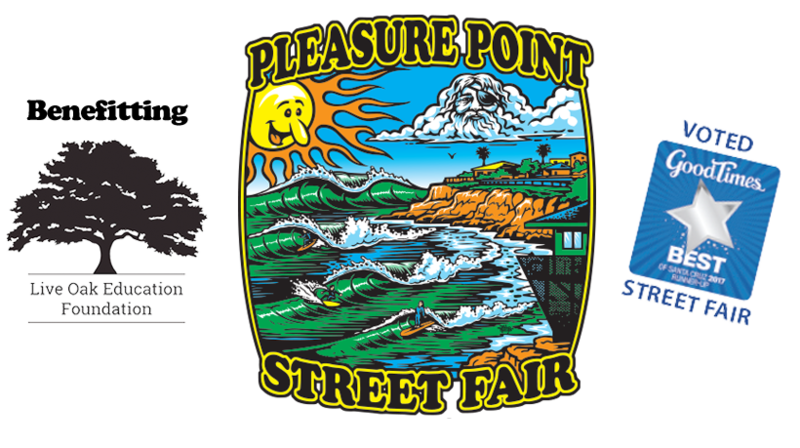 Follow our Facebook page to stay up to date on the latest and greatest of this year’s Pleasure Point Street Fair. Wish to become a Sponsor? Click here to go to the sponsorship signup form. Click here if you are insterested in becoming a vendor. Bring the Whole Family For a Great Time!